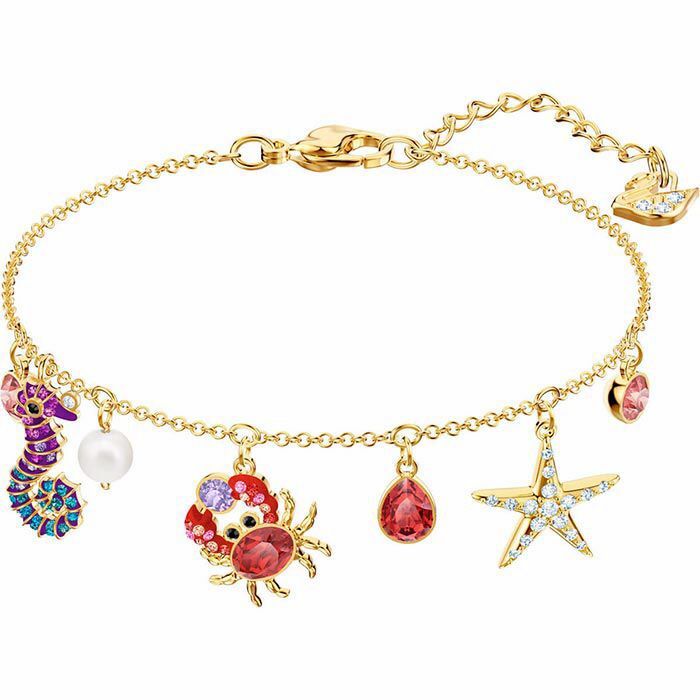 Take a deep dive into the fascinating underwater world with this glam gold-plated bracelet. The chain is playfully embellished with a treasure trove of sealife motifs, including a seahorse, crab, and starfish, with colorful crystal Pointiage® and Crystal Pearls adding signature Swarovski shine. Vacation-inspired elegance for every occasion.